As the fasted growing sport in the world, Muay Thai has been part of Thailand’s proud heritage for over 500 years & is Thailand’s national sport. The word muay derives from the Sanskrit mavya and Thai comes from the word Tai. Muay Thai is referred to as the “Art of Eight Limbs” or the “Science Of Eight Limbs” because it makes use of punches, kicks, elbows and knee strikes, thus using eight “points of contact”, as opposed to “two points” (fists) in boxing and “four points” (hands and feet) used in sport-oriented martial arts. A practitioner of Muay Thai is known as a nak muay. Western practitioners are sometimes called nak muay farang meaning foreign boxer. Like most competitive full contact fighting sports, Muay Thai has a heavy focus on body conditioning. Muay Thai is specifically designed to promote the level of fitness and toughness required for ring competition. Training regimens include many staples of combat sport conditioning such as running, shadowboxing, rope jumping, body weight resistance exercises, medicine ball exercises, abdominal exercises, and in some cases weight training. Mellow Rooms is able to introduce you to training programs designed for Muay Thai beginners’ right through to expert and World Championship levels. There are many training camps throughout Phuket and the rest of Thailand. Many of these claim to be the best, to offer the best facilities, to have best trainers etc. Generally the standard in all camps is very high, but as in any sport you have to choose the right one and Mellow Rooms will guide you to the most suitable camp for you. Training courses vary from one hour to one day, one day to one week, one week to one month. Group Training or Personal Trainers are available in most camps and many clubs also offer accommodation, which is always advisable if you are involved in a training program of a week or more. The programs normally consist of 3 or 4 training sessions throughout the day. The camps are a great place to make new friends as you train. 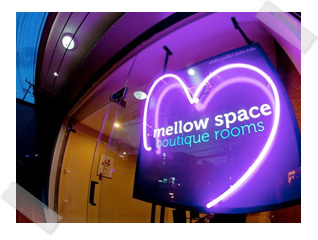 Mellow Rooms can put you directly in touch with training camps according to your preferred location, your personal budget and any special requests/requirements you have.